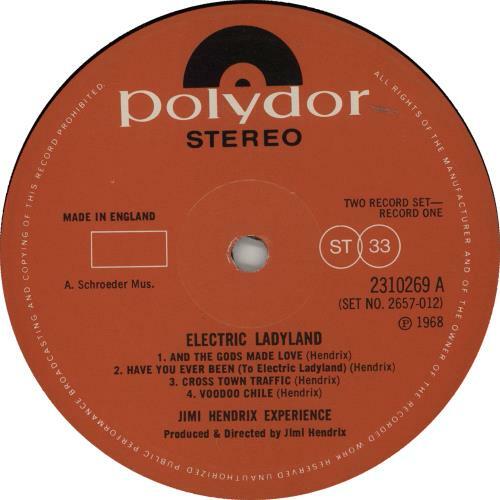 JIMI HENDRIX Electric Ladyland (1973 UK Polydor issue of the majestic 1968 16-track double LP, housed in a fully laminated gatefold picture sleeve with a cornucopia of cosmetically arrayed naked beauties that Jimi was none too pleased about atthetime! Both the sleeve & vinyl of this seminal album are in great condition. The sleeve shows just minimal wear & the vinyl shows only minor signs of any play. A must!). 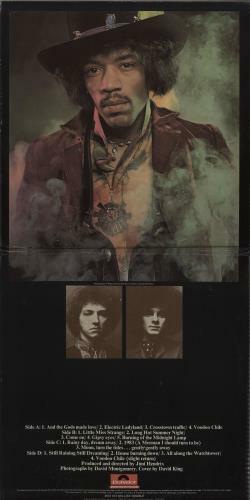 or visit our Jimi Hendrix image gallery.